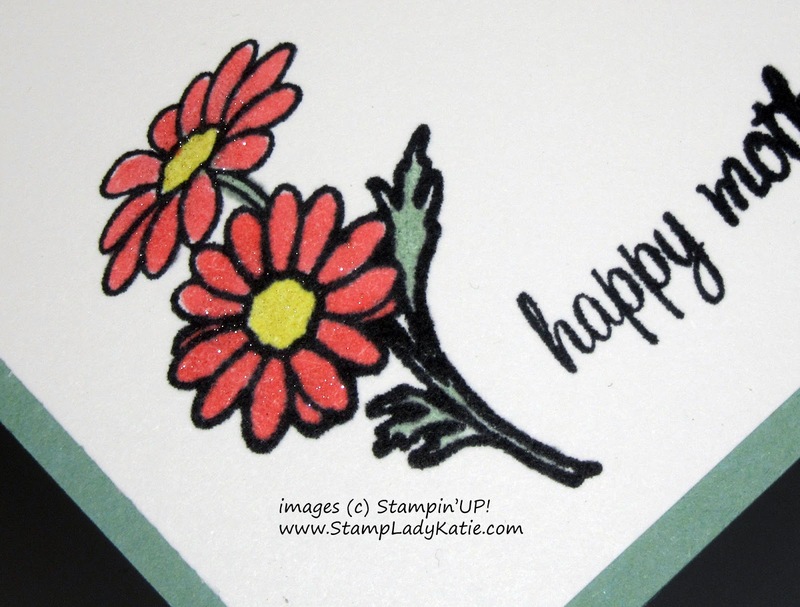 We love to send cards to special people for special occasions. 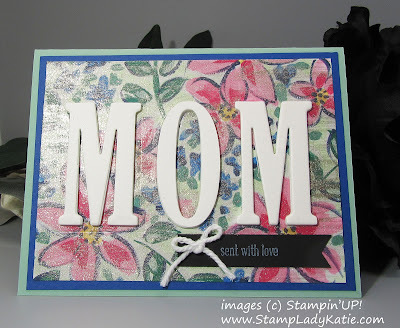 All the cards featured on today's Blog Hop will feature cards for Mother's Day, this is my card. 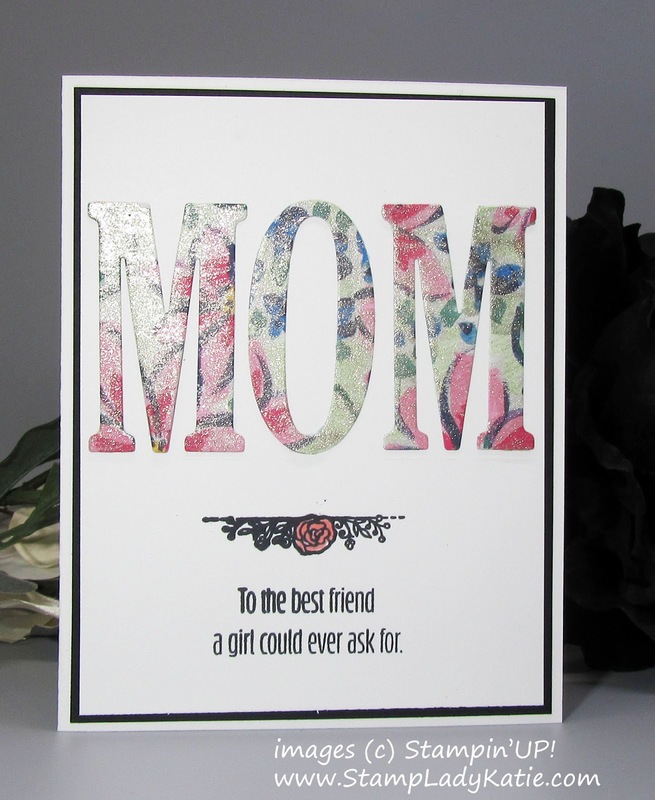 Mother's Day is certainly a very special occasion celebrating a very special person. 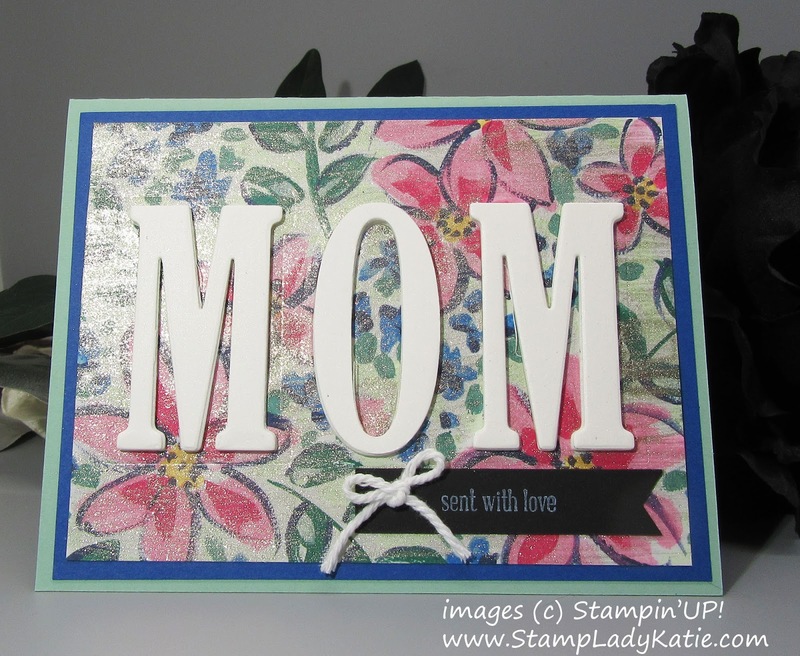 The letters of course, are the main feature of this card, Stampin'UP! 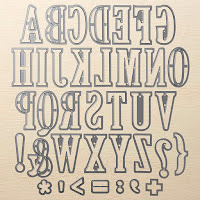 has a wonderful set of Large Letters dies perfect for cards and for scrapbooking. The letters on this card were diecut from Shimmery Cardstock and raised up for texture and dimension. To get solid support for the raised letters I also cut them from Fun Foam and glued the Shimmery Cardstock to the top of the Fun Foam piece. 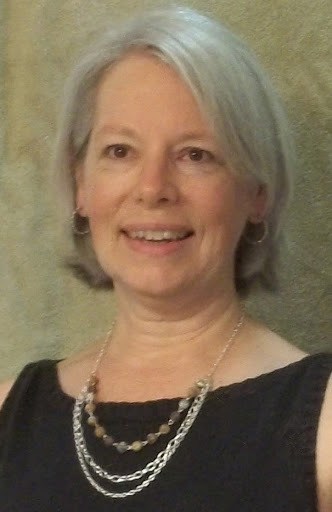 Speaking of shimmer, did you notice the background? Its a piece of the gorgeous Garden Impressions Designer Paper that I painted with Frost White Shimmer Paint. The Garden Impressions paper pack has lots of beautiful papers - and it comes in 6x6 sheets so its perfect for card making. There was no need for me to diecut the letters - my original plan was to use the negative space. But I did use the letters for a bonus card which you'll see at the end of this post. For the inside of the card I stamped a small flower and colored it with Stampin' Blends. The flower and sentiment were stamped low so there will be plenty of room for a handwritten note. And then to make it extra special I used Wink of Stella to add shimmer to the flower. Usually my projects use less product. 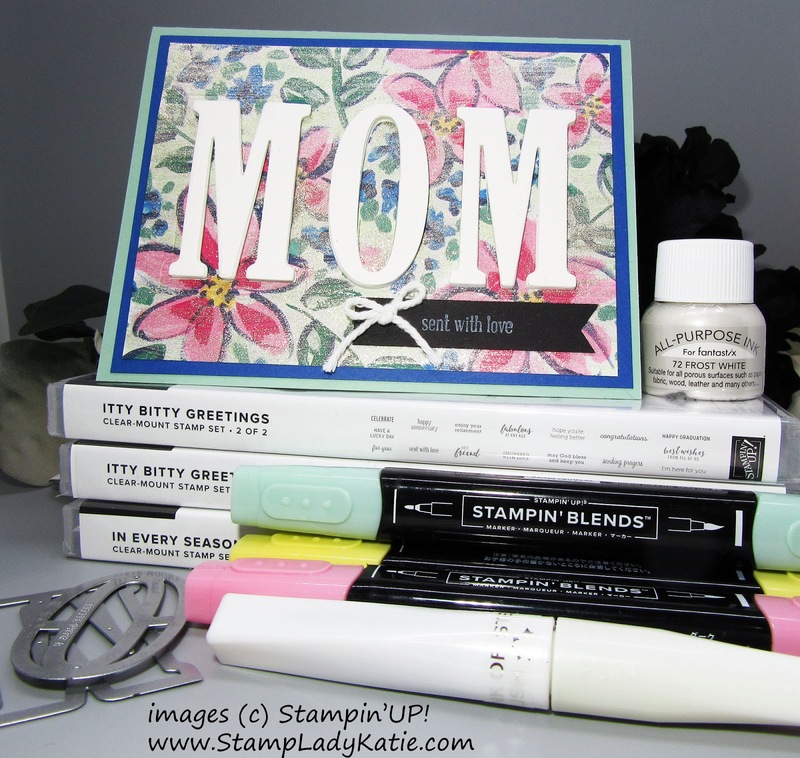 For the Mother's Day card I feel like I was playing with all my toys! There is a complete list of products at the end of the post. It was a fun day creating this, I started with a simple idea that evolved and changed as I went. I just kept stepping it up and adding more product, more shine and glimmer and extra layers. My normal style is more simple and easy. 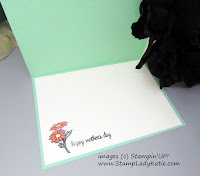 But those letters that were cut before I changed plans did provide the opportunity to make this second card as a bonus. 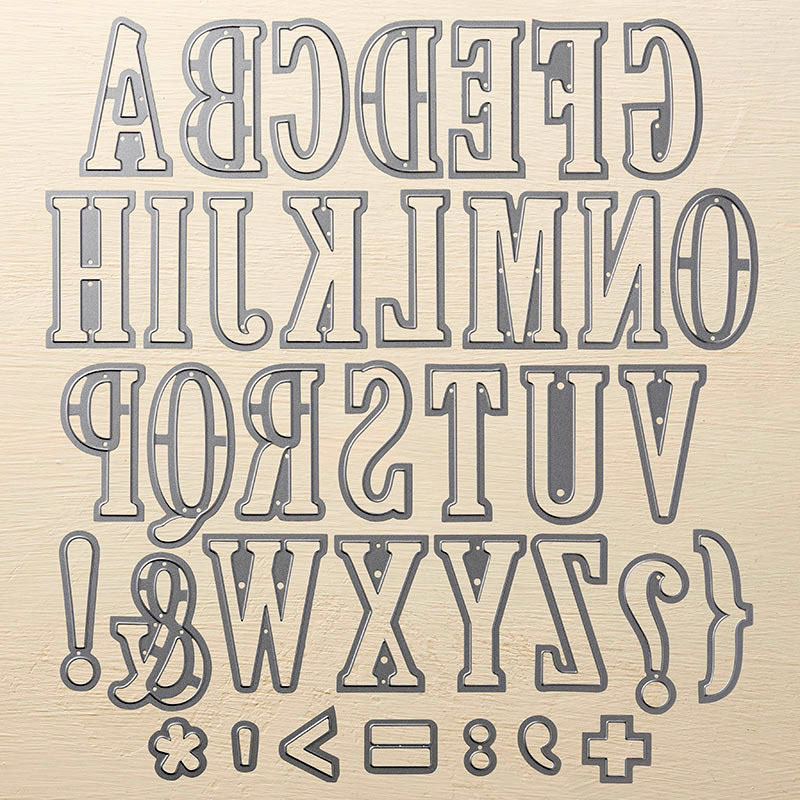 A good set of alphabet dies might seem pricey, but its a good investment. 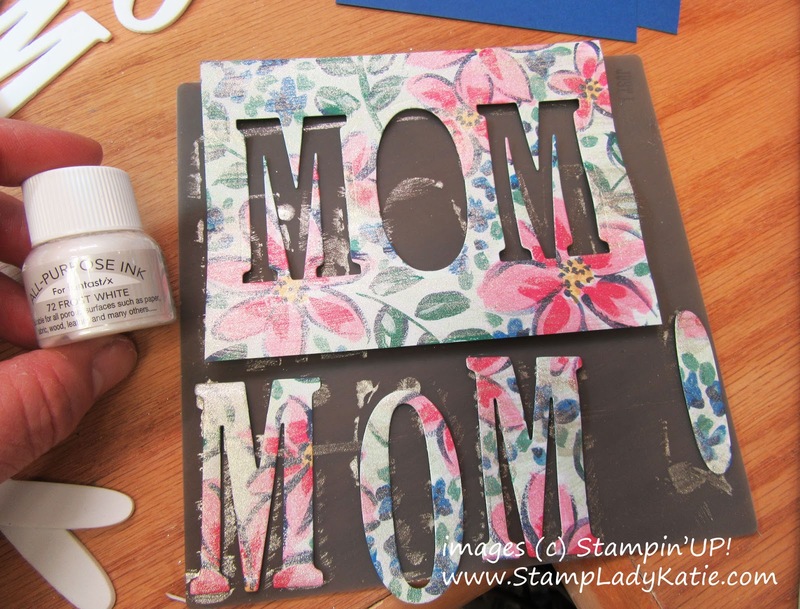 I get tons of use from my Large Letter Dies, both for card making and scrapbooking. Oops - did I start you thinking? I hope so, its my goal to inspire my readers. Thanks for stopping by and have an INKcredible day. Click the button to see the next blog in today's Mother's Day Blog Hop. And once you've come full circle, check links at the bottom of the post for the supplies used on today's project. Thanks for stopping by and have an INKcredible day.